Emails, calendars, contacts, Web applications and secure file sharing offered in a range of formats. It's the Apps you know & Love - Word, Excel, PowerPoint, Outlook, OneNote, OneDrive—and on your PC, Publisher and Access. Everything you need for home, school, & work. 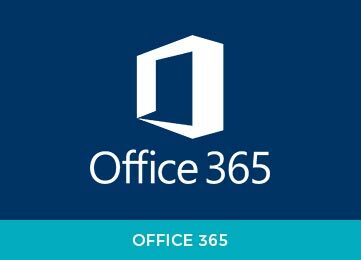 It's Always up to Date - With an Office 365 subscription, you get the latest Office apps—both the desktop and the online versions—and updates when they happen. It's on all your Devices - On your desktop, on your tablet, and on your phone. It's your Great Work, in the Cloud - OneDrive makes the work you do available to you from anywhere—and to others when you collaborate or share.